No one enjoys discovering vandalism at their home or business but, when it occurs, you can count on Parker Construction to provide professional assistance in cleaning up and restoring your property to the condition it was in previously. Our experts are always ready to respond immediately when your home is unsafe or unsecure. 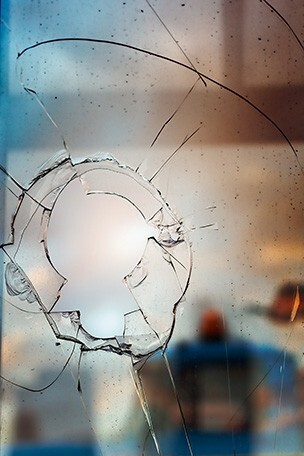 Whether you home was broken into or has suffered structural damage as the result of vandalism, we’ll help you clean up, secure and restore your property quickly, professionally and respectfully. If your home of business is unsafe or unsecure, we’ll send our 24/7 team to secure your property and to eliminate any unsafe conditions. When windows or doors have been damaged and are unsecure, we’ll board them up or repair them to provide you with a safe and secure environment. If your property was maliciously damaged and there is food, chemical or other potentially hazardous material exposed, our trained professionals will clean, sanitize and disinfect the area following proscribed industry standards to ensure a safe and secure environment. Our professional team of cleanup, recovery and restoration experts is certified by the IICRC (Institute of Inspection Cleaning and Restoration Certification), having successfully completed specialized training in the field of restoration and recovery. We also have the knowledge, experience and compassion required to provide a professional and respectful approach to all cleanup, recovery, restoration and renovation services. We employ the latest equipment, products and technology and constantly update our knowledge and skills through a program of ongoing training and recertification. Parker DKI is an approved vendor for many leading insurance companies and specializes in repairs related to water, wind, fire, hail, storm, vandalism, and electrical damage to your home or business.